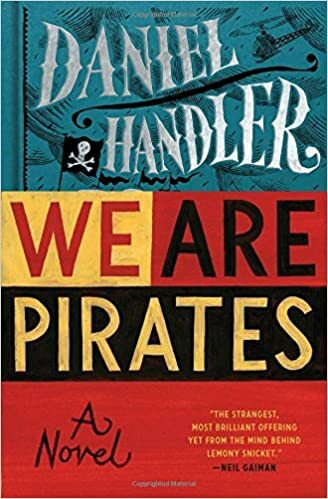 A week after finishing Daniel Handler's "We Are Pirates," I'm still trying to figure out what to make of it. Gwen, a 14-year-old girl going through what seems to be normal 14-year-old stuff, throws together a rag-tag crew of modern-day pirates. Meanwhile, her father Phil, a middle-aged radio producer, going through what seems to be normal middle-aged stuff, has an affair with his new assistant at a conference. Seems like a cute set up, right? Nothing too wild here. For the first third of the book, I drifted along enjoying the perspective shifts between Phil and his daughter, thinking Handler does a nice job of capturing the impossible gulf between the two of them. 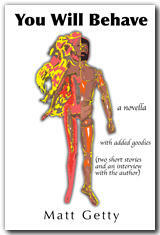 The writing was good, the story compelling enough, the characters interesting--nothing to see here, right? Then the pirate stuff actually happens. When Gwen and her band of "pirates" attack a yacht in the San Francisco Bay, I expected some light-hearted hijinks. The pay-off of the premise, I expected, would be a few comical moments built on the tension between true piracy and contemporary teen-age rebellion. But when her victims don't take her threat seriously, Gwen has no choice but to unleash actual pirate mayhem. It's a jarring moment, and for me, perhaps the most engaging and disturbing aspect of the novel. The violence is real, its impact permanent, and suddenly the book seems to lurch into some other territory--an unmarked portion of the map. Understanding the true, actual violence that now lies behind this line, it's hard not to feel that the characters to whom it applies--and even the reader him- or herself--is somehow condemned by these words. That moment where the piracy became real serves as the dark heart of an otherwise light, comic novel and leaves me still trying to process how I feel about what Handler is really after in "We Are Pirates." I reserve the right to change my mind later, but for now, I have to think that's a good thing.